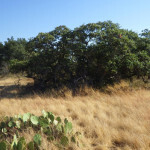 To assist with a major wind energy development project, BIO-WEST performed black-capped vireo (Vireo atricapilla) habitat assessments on multiple project areas in Texas. Prior to commencing the field survey portion of the habitat survey, the project areas were assessed via aerial photography, topographic and land-use data, and a proprietary GIS analysis program to determine where black-capped vireo habitat was likely to occur. 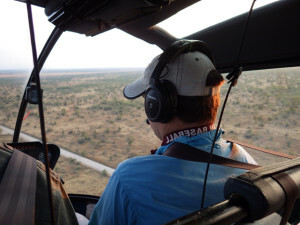 BIO-WEST also conducted an aerial helicopter survey to verify desktop research findings, and ecologists recorded GPS data at areas where potential black-capped vireo habitat was noted during transect flights above the project areas. 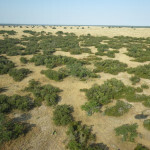 Ground-truthing surveys were then conducted to verify whether areas identified during the aerial survey were potential habitats. Survey results were used in conjunction with project pro forma and overall goals to determine whether wind towers, roads, crane pathways, and power-collection systems could be sited to avoid sensitive natural resources in these project areas. The results also minimized and/or eliminated the necessity to coordinate project efforts with federal permitting agencies, such as the US Fish and Wildlife Service and US Army Corps of Engineers, which saved the client’s resources during the permitting process.